LAUNDRY BOOSTER -- Add 2 Tbs. (1 oz.) 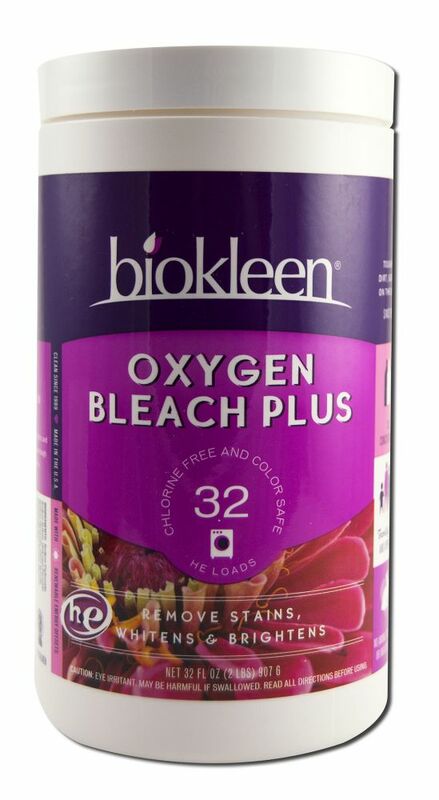 Oxygen Bleach Plus with laundry detergent, start water, add laundry. Always wash whites and colors separately, and follow manufacturer's instructions. STAIN REMOVER -- Mix 2-4 Tbs. (1-2 oz.) per 16 oz. of water. Apply solution to stain on water safe materials. Allow solution to sit for 1-5 minutes. Blot stain with white towel and repeat if necessary. Rinse thoroughly and let dry completely. CARPET STAIN REMOVER -- Mix 2-4 Tbs. (1-2 oz.) per 16 oz. of water. Remove excess waste before treating stain. Apply enough solution to saturate stain. Allow solution to sit for 1-5 minutes. Blot stain with white towel and repeat if necessary. Rinse thoroughly, let dry, then vacuum. * A great booster for extractors. Used by professional carpet cleaners nationwide.